If you're interested in the current state of our fishery and some of the possible impacts from the Lake Okeechobee water releases be sure to attend this evening's meeting at 6:30 in the Matlacha Park Community Center. Guest speakers will be local residents John Hadden and Chrystal Murray who work for the FL Fish and Wildlife Research Institute. Everyone is welcome and we only ask a $3 donation to cover the building rental fee. Hope to see you there. These are just a few of the regulars that I see every morning when I launch my boat at the Matlacha Park. A great video by Dan Decibel for my buddy Shelby and his excellent lures from Flats HQ. USIENDE from FLATSHQ on Vimeo. Ft. Myers angler Aaron White with a 22" trout from Pine Island Sound. PA angler Eddie Max with an upper-slot redfish from Cabbage Key. Season is in full swing and so is the fishing in Matlacha Pass. Yes, the water is still dark but as I've said before, this isn't the end of the world. The trout bite has been excellent in Matlacha Pass and I've have three trips this week where my anglers landed at least 100 fish. Unfortunately, 99 of them were under the 15" slot minimum. Over in Pine Island Sound it's the opposite story with almost no small trout and the very few we do land are over 20". I have no explanation for this. 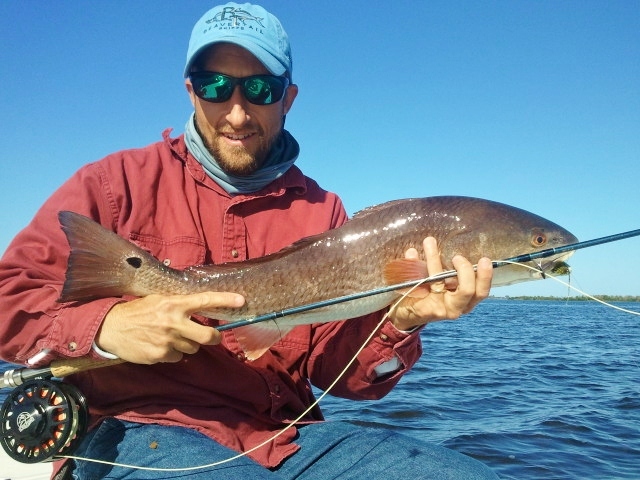 The redfish have been lockjawed for most of the week but my anglers finally started bringing a few in on live shrimp in the last three days. There was no finesse to any of this. We simply anchored up along the bushes at high tide (what little there was) and waited for the corks to drop. February is always a hit-or-miss month here on Pine Island but this last week has been good one. Despite what you might see on TV or read in the paper, I've got no complaints about the fish we've been catching just a few miles north of the river. A very good video about this 50 year old Super Bowl of fly fishing for tarpon. "50"- Gold Cup Tarpon Tournament 50th from Waterline Media on Vimeo. Beavertail Skiffs: Vengeance from Beavertail Skiffs on Vimeo. This was put together a few months ago for Beavertail's new website. It features my buddy Capt. Eric Wrenn's beautiful new Beavertail Vengeance and some fantastic Pine Island scenery, all shot by Spooled Reels Films. Really great stuff.